GIFs are coming back in a big way, and soon you won’t need to have any special computer skills to make one. OTTO is a customizable camera powered by Raspberry Pi that can make GIFs, time lapses, and other awesome effects in no time with nothing more than its associated smartphone app. 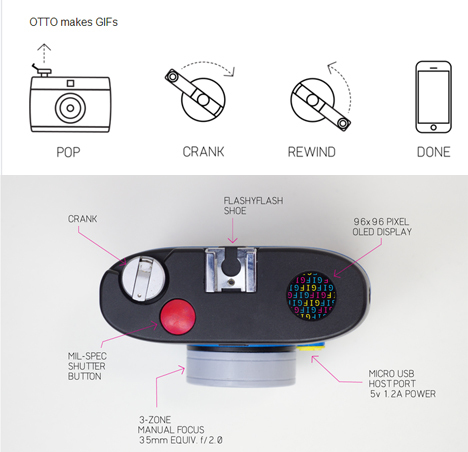 Creating a GIF on the OTTO is as easy as popping up the camera’s crank, twisting it, then rewinding when you’re done. The new GIF is sent to your phone and you can instantly share it with all of your social network. But the OTTO is no one-trick pony; its app has the ability to turn OTTO into plenty of other specialized cameras that can do things like produce instant digital photo booth pictures or apply textures or patterns. 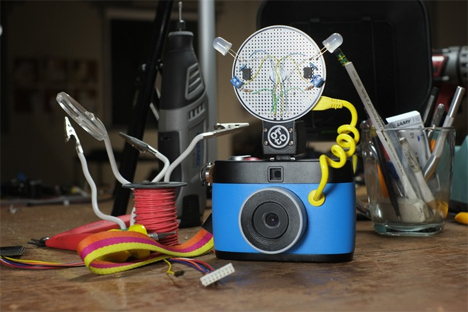 With the Arduino-powered FlashyFlash add-on, users can increase the image quality and even add sound to their creations. 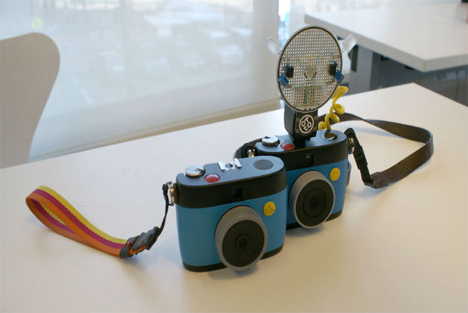 The camera itself can be modified almost infinitely through the FlashyFlash simply by adding additional Arduino boards. The OTTO is raising funds on Kickstarter where a pre-order will run you $149, or $199 with an included FlashyFlash. See more in Camera & Video or under Gadgets. May, 2014.